Infusing sweet and smoky flavors into one full-bodied bologna, this Groff's Meats sweet bologna brings an old-world recipe to the modern consumer. 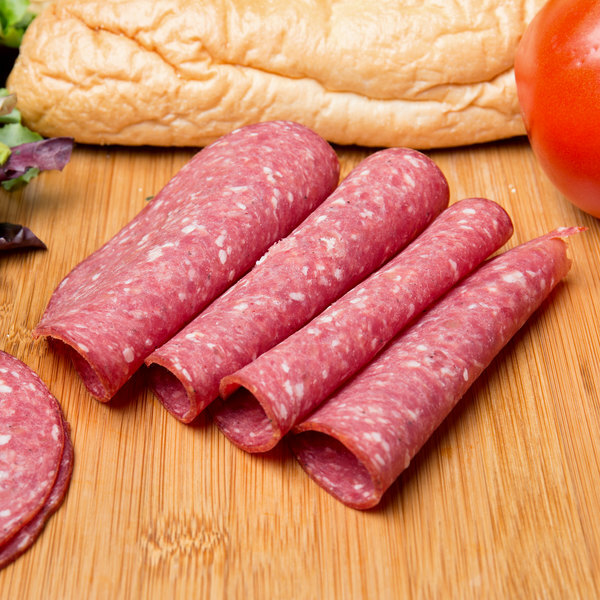 This classic deli meat is perfect for slicing to the desired thickness for use on sandwiches or chef salads. Cut it into bite-sized pieces and serve with a side of sweet or spicy mustard for a savory sweet treat. It's perfect for pairing with aged cheeses and fresh fruits on charcuterie boards, too. Crafted from high-quality domestic beef, this bologna is cured with a classic blend of sugar, salt, and flavorful spices, then smoked in traditional smokehouse fashion. It's packed as a or long stick for easy slicing by hand or with a commercial slicer. 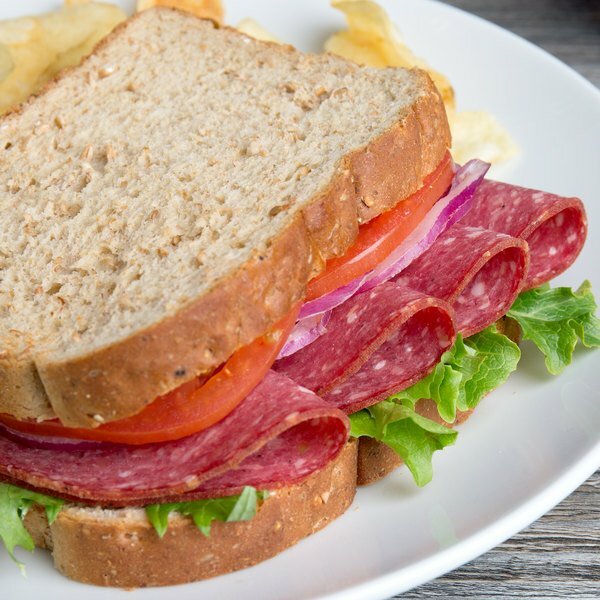 Stick with a simple and traditional offering by slicing this bologna up to use as lunch meat on sandwiches during your busy lunch hours or use it to create appetizer or taster plates with meats and cheeses. 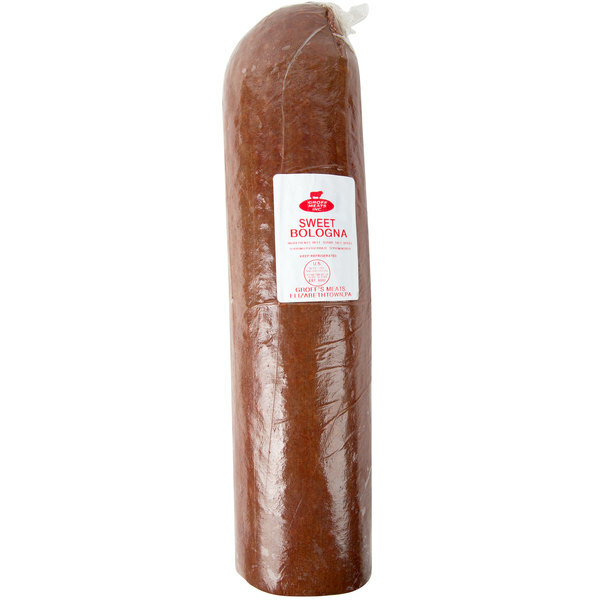 No matter how you use it, this bologna makes an ideal addition to your restaurant, cafe, or deli.